Fire Alarm Systems - Anderson's Electronics Inc.
We stock extensive parts and batteries for your fire alarm needs. 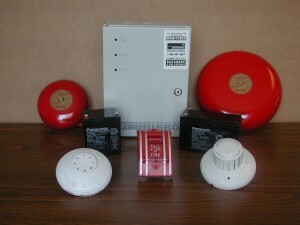 Anderson’s Electronics employ CFAA Certified Fire Alarm Technicians. Upon completion of inspection and necessary repairs (by our technicians), full reports (hard or soft copy) are forwarded for your records.